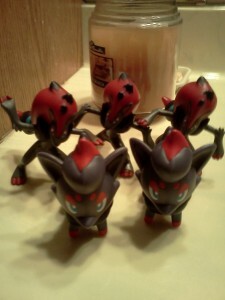 more zukans?! updated sales?! potential new customs?! oh my! needless to say, I bought as many as possible! Unfortunately, I decided not to livestream this one as there were nowhere near as many this time, and I'm kinda glad I did...the pulls were terrible :( Only got one giratina, shaymin and mamoswine! Bah. In any case though, new zukans for sale! Plus offering the leftover zukans now as well as some new goodies for offer <3 come check it out! Hi, I'm new to this community and was hoping to introduce myself and ask a couple of questions. 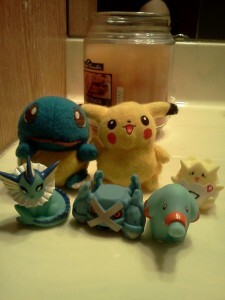 I've loved Pokemon ever since I was a little kid and my first plush was a Squirtle, actually it was a whole bunch of Squirtle plushes that worked as a little candy bags as well as a plush and one large glossy one that I think is supposed to go into water that I got during a Christmas party. 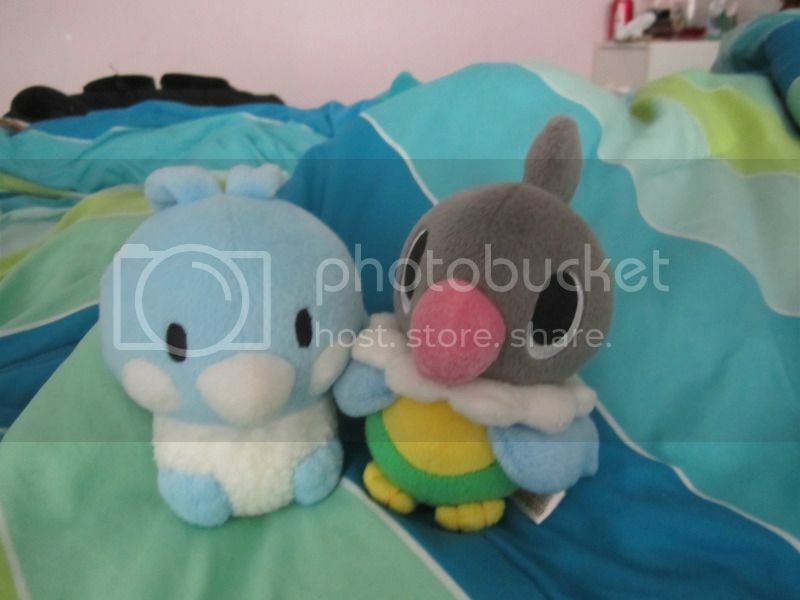 From that point on I've always collected little plushes whenever I could find them but I really got determined to start collecting seriously when I bought a Lapras pokedoll at Epcot. 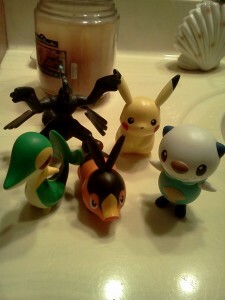 That plush basically encouraged me to go on a mission to catch all my favorites. I'm currently out to get at least one item of each of my favorite Pokemon, I have most of them by now but I've been having problems finding a Jolteon plush and an Umbreon plush that are legitimate and not just bootlegs. 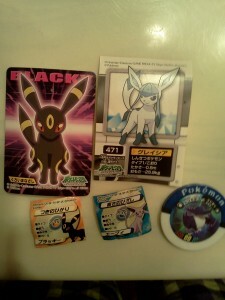 I really want official merchandise of the two and so when I saw the "I Love Eevee" campaign I was super excited! 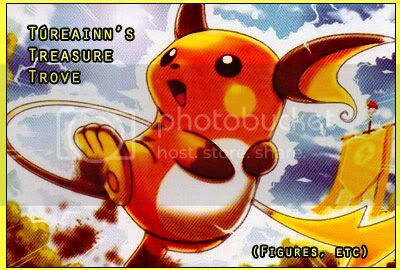 This leads me to my question, I've found a couple of websites that claim to sell "I Love Eevee" merchandise but I'm not sure if they are reliable. Do you know if these sites are reliable? If they aren't do you know of any that are reliable? I'm currently just looking for Jolteon and Umbreon and I'm just looking for the plush keychains of each and the plush DX versions of each, I know that most of them haven't been released yet but some o the sites offer pre-order options. Thank you all so much for reading this and for helping me out! I hope to get a camera soon and show how much I've collected already. Thanks again and it is a pleasure to meet you all! Quick Sales + meetup? Maybe? Also, I was wondering if anyone living in the Tokyo area would like to meet up? I have a long break starting on Friday, so I have nothing to do for Sunday - Tuesday. If any of you are free, why don't we meet at the PC and maybe hang out together for an afternoon? I'd be glad to meet you! You know that feel when you want to make a gets post, but you're waiting on that one thing? Many random gets below! Including GRAIL GETS! 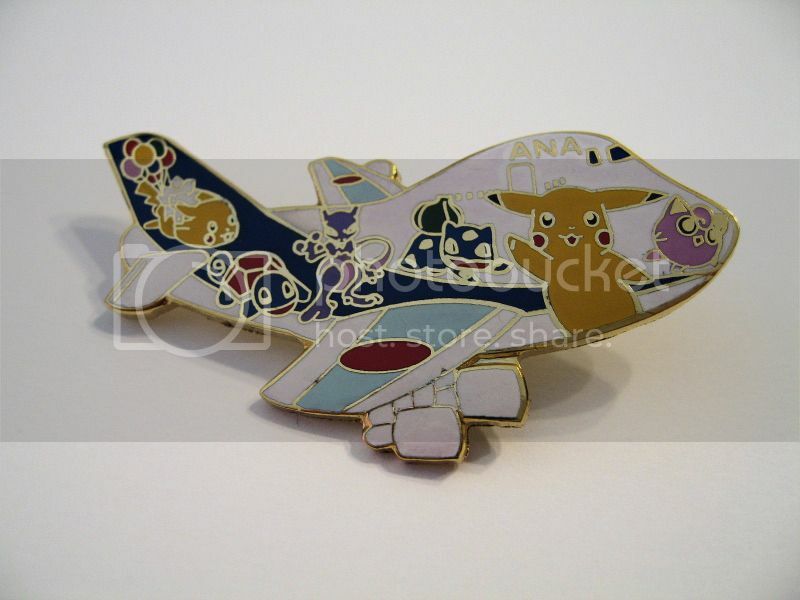 If you have any information about this ANA pin, please let me know. I bought it on eBay, but the seller didn't know anything about it. Larger pics and all my other new gets under the cut. 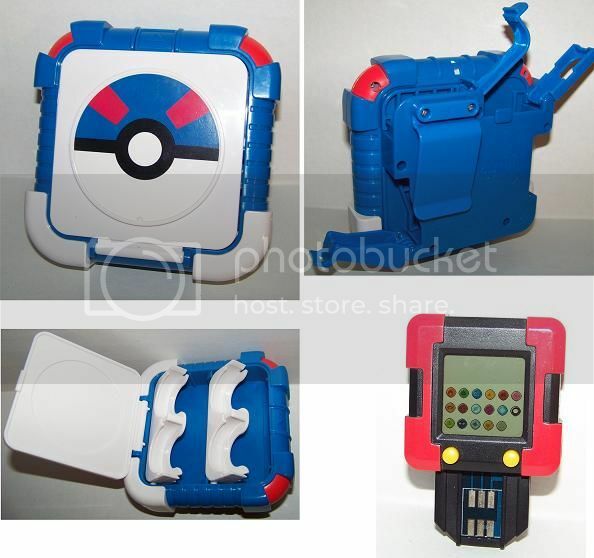 do pokevault only sell authentic items ? Altaria and Chatot doll offers ending reminder and update! Click the picture above to go, or here!! I love pokemon/pokedolls that are dragon type, or based of a flying reptile. What I'm hoping to get right now is a Kyogre, Groudon, Chatot pokedolls, and I know they have been released in the kiosks last week, but I live in SoCal, so it would be very difficult for me to get there... Anyways, I hope to have a bigger collection and share with everyone, and I believe that this community will help me achieve that! 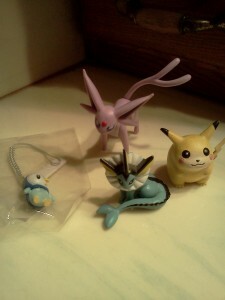 So I got a little over excited when I found the gacha pokemon zukan boxes in a local shop! This is where it gets really silly. 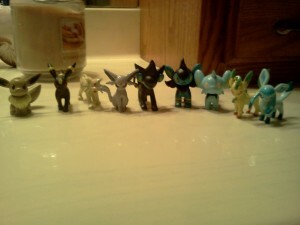 Almost all of them were ALL ASH AND MEW!? Auction reminder! plus a quick question. Just wanted to remind you all that my auctions are ending in about 23 hours. 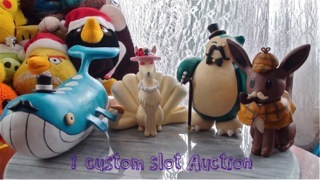 Auctioning Lord Wail, Sherlock Eevee, and 1 custom sculpture slot. Also I was wondering about the charms I made in my other post a few days ago. Are the prices to high? Or should I work on getting more experience before I do commissions? 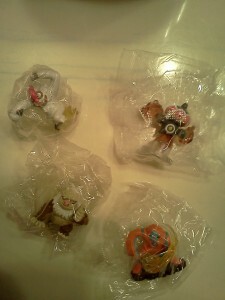 I did make a few other octillery charms in different colors and a vulpix cupcake. Can see that post here. How do you mail posters? I have some I would like to sell, but not entirely sure how is best to ship them. Tubes for posters I thought would be best, but the tube alone cost ~$2each. Is this how most people send posters? 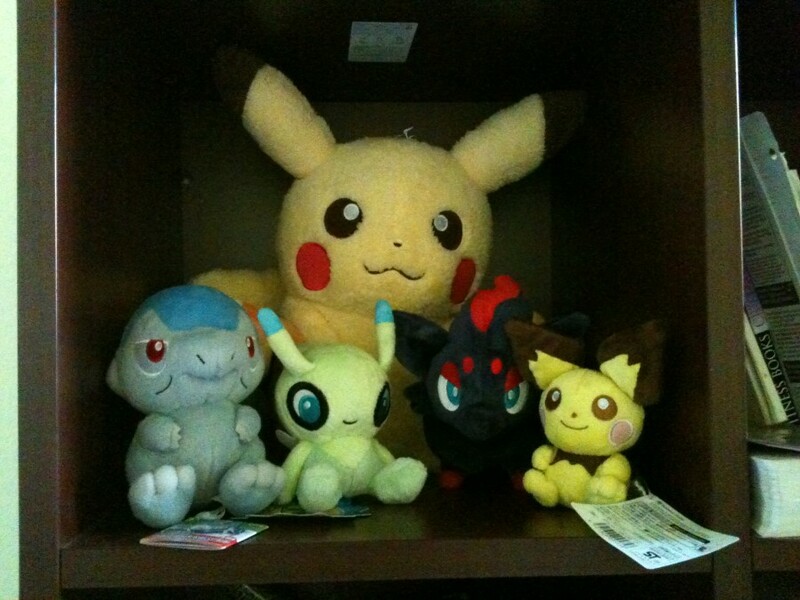 Last is the sales plug, I have plush, pokedolls, and worlds 2012 merchendise. a couple of plush slots! hey everyone, i've got some plush slots for you to take a look at over at my journal! sales permission granted by former mod lineaalba april, 2010! My real name is Brandon, but I prefer to be called Bacent (Bay-cent). Either one works, but I pay more attention to the ladder, so I may miss it if you call me Brandon. I tend to type like how I talk, so my wording can be a bit confusing at times. Feel more than free to get my Skype/MSN Messenger info if you wanna chat. Battrio Coins I Don't have - Promos. The ones with the ribbons on them. Unusual pokeballs (Like timer, safari, dive, ect. 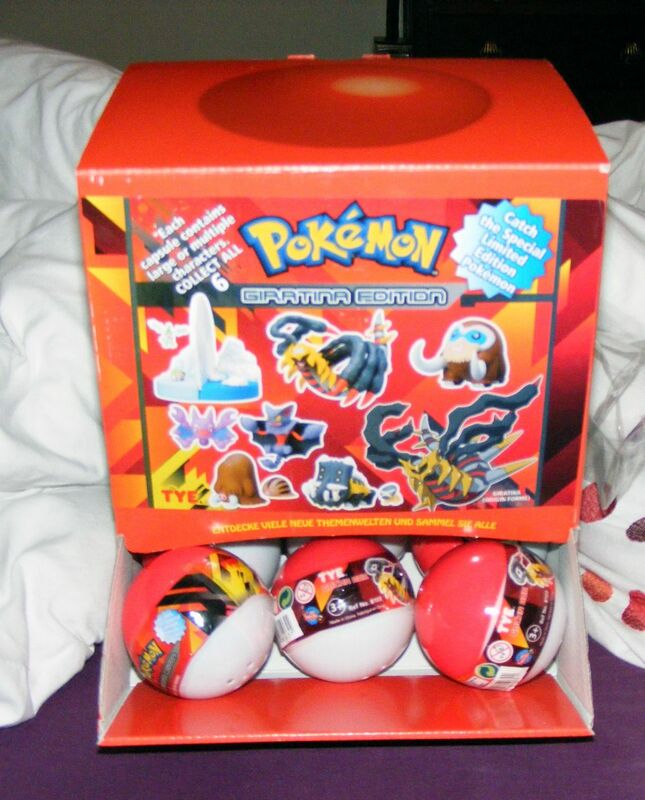 All the unusual pokeball ones). Legends. Almost everything $1 or less sales!!! Must See!!! Alright, since the other day I was wondering what it'd be like to collect water types. 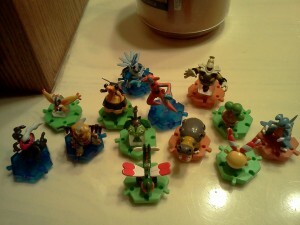 Then I realized there are more water types than any other type, and there's no way a 14 year old can afford all that. So, I though of the next best thing: FISHIES! 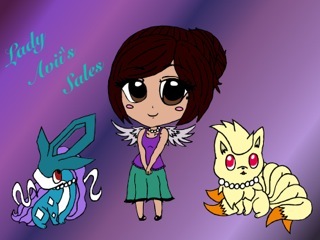 Also, expect a wedding sales soon of my old collections which include: Arachnid Pokemon, Combee/ Vespiquen, Poliwag/ Poliwhirl, and Jigglypuff. Hey everyone! I just got accepted to this community earlier today and I'm really excited about it! I just thought I'd post to introduce myself and my collection! 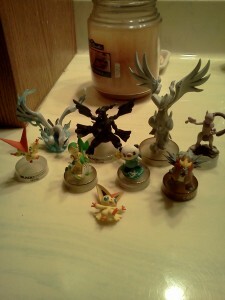 I really got into the collecting mood last year when I got into shiny hunting in my Pokemon games. I think I have 33 now across 3rd, 4th, and 5th gen games, with my most recent one being a shiny Ponyta that I got yesterday! 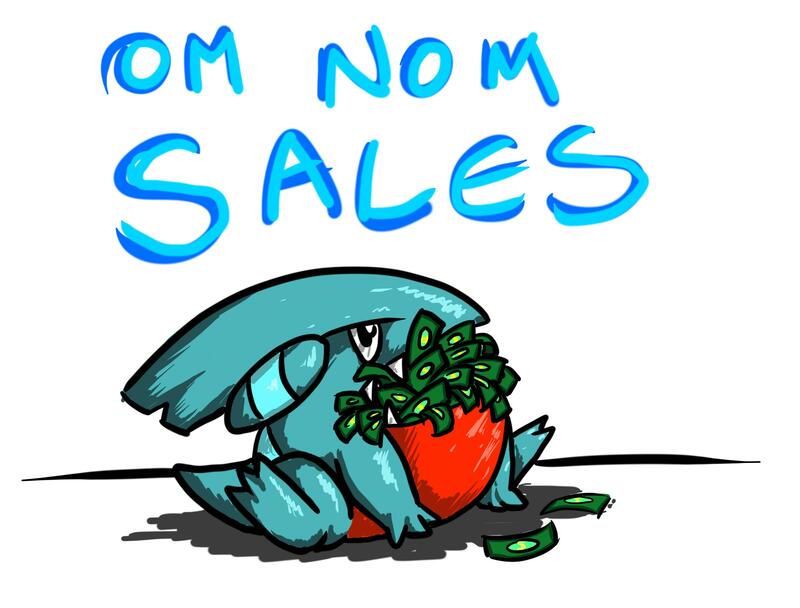 If anyone here goes on Serebii's forums, Pokemon community, or Shiny Hunters United, you might have seen me around. Anyway, on to collection stuff. I've always been a huge fan of plush but didn't discover the existence of Pokemon plush (POKEDOLLS!!!) until I happened across the Nintendo World in NYC and saw the Pokedolls. I'm an especially huge fan of Piplup and Treecko, though the only Treecko item I have right now is a Pokedoll >.< I then discovered Sunyshore when looking for a Keldeo Pokedoll, and my true collecting began! -ANY SHINY POKEMON STUFF!!! Especially plush! This can be for any Pokemon, but I'd especially like shiny Piplup, Empoleon, Kyogre, Sceptile, Treecko, or Lugia! Well, I guess that's it =) Thanks for reading everyone, I look forward to getting to know some of you guys! Very quick black and white 2 wants. Hi guys! It's been a really long time since I last posted; and I've been collecting a lot. I've been planning on doing a collection update, but College and Life leaves me with very little time. I have some really quick wants, though. i appreciate if you took a look. Hello everyone! I came here with a quick auction for a custom Scolipede sculpture with base! This is a quick auction and will end in a little less than 3 days!